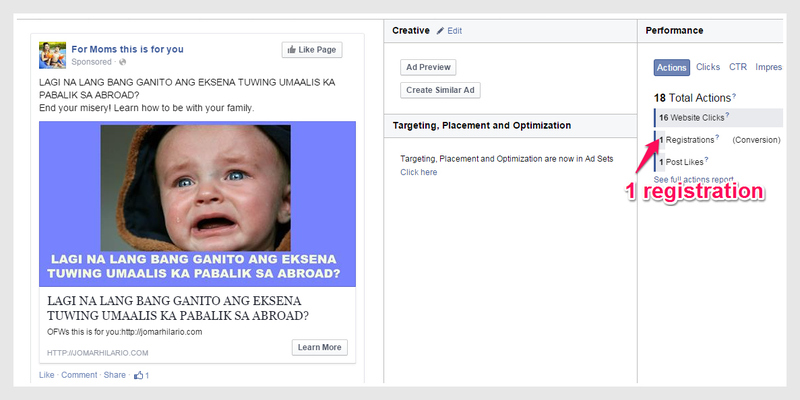 I planned to shift posting my Facebook ads. Like I said before, I always put PROMISE in the heading. But now, I shifted to “PAIN” points. I changed my heading showing “Pain” and supported the text itself with the image showing pain. My ad was not approved! Oh no! I went back to my ads and studied about it. 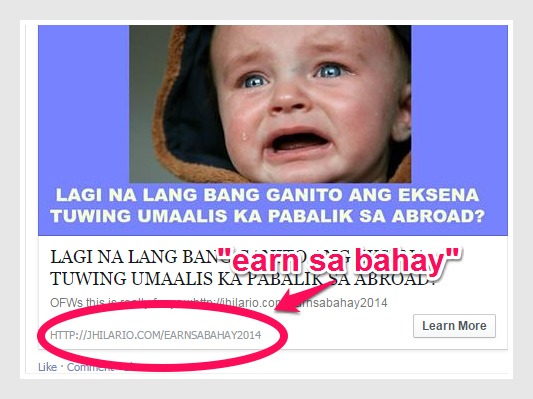 And this is what I discovered: there was a word “earn sa bahay” in website link. 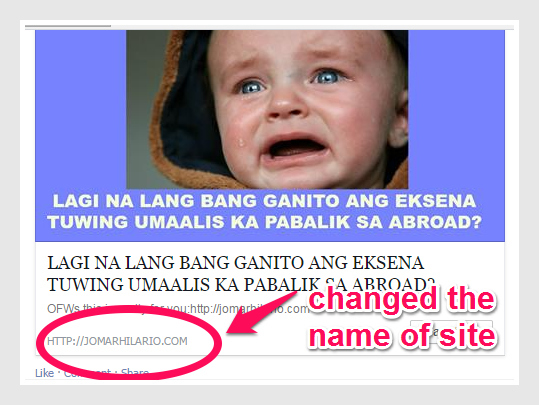 I took the courage to change the link to “jomarhilario.com” without the word “earn sa bahay” since it is in the rules of posting Facebook Ads. 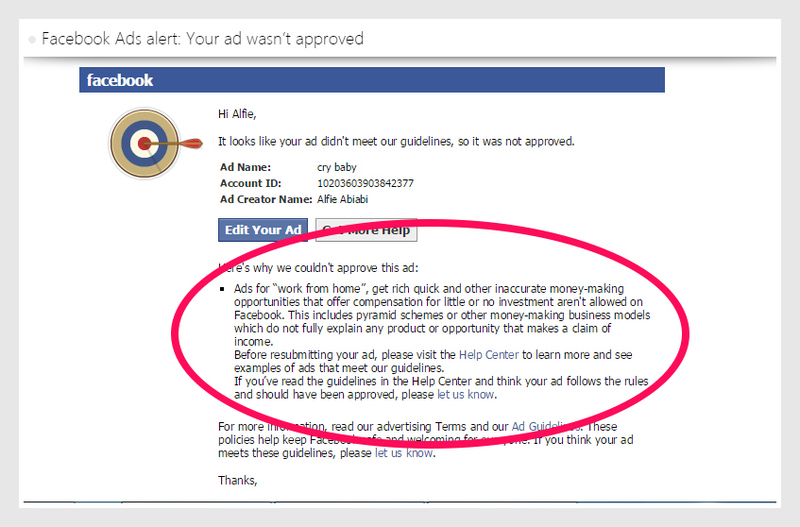 So, no “work at home” or “earn sa bahay” in my ads. I made this one late at night and I did not mind sleeping late because I wanted to know if my doubts were true. I posted the ads, again. It was 11pm and I felt very sleepy and I did not mind my office work for tomorrow. But, the result was not good. My ads was disapproved, again! Waahhhhh! What happened? I was tired and sleepy and this was all I could have after experimenting it. I felt dismay but wait, my mind was telling me that there was something wrong with my Facebook page. hmmmmmmmm, sounds fishy. Why? My facebook page had word “work at home!” Hmmmm my instinct was telling me maybe this one was the issue of disapproving the ads. You know what I did? 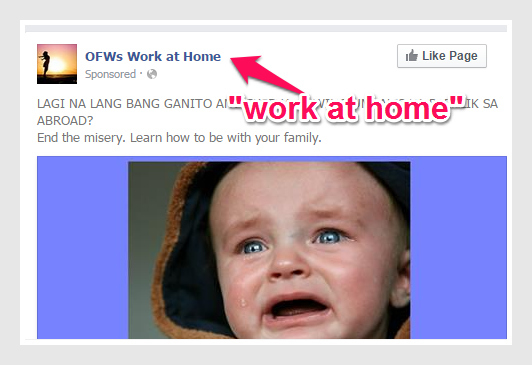 I changed the facebook page from “Moms work at home” to ” Moms this is for you” and “OFWs work at home” to “OFWs this is for you.” I made an experiment to see if my feeling was right. I did post it again in power editor. The verdict? My ad was approved! Yeheey I got it! 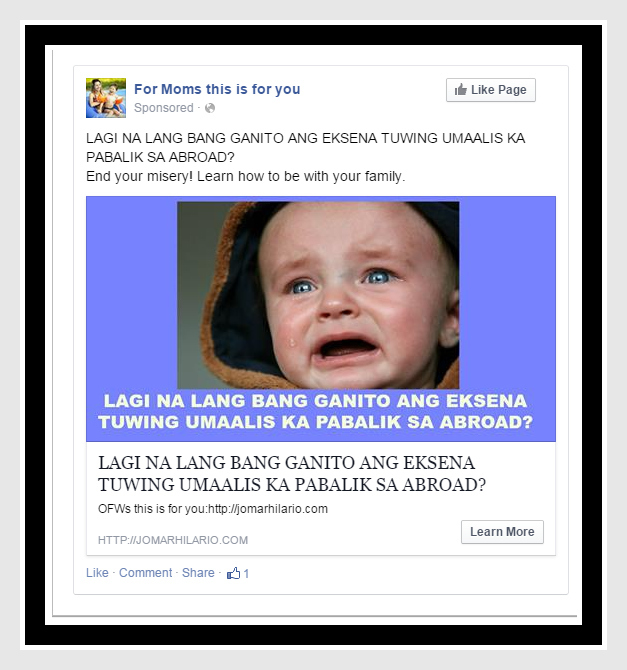 You noticed that no words such as work at home or “earn sa bahay” in my ad, even my facebook page. I ran this ads for 1 day only for experiment and I got one conversion! Yes, it pays to be curious and experimental. And I could say, I really enjoyed exploring the options though it might not that easy. I even sent emails to Jomar’s team if my doubts were right. I asked help from Nikki about it and I sent her the reply that I already discovered the thing which I went wrong. So I extended this ad for number of days. Well soon, I will share to you again my learning about Facebook marketing. See yah!